A few months ago, we featured the Arvo Brothers‘ beautiful white Porsche 911 Targa. 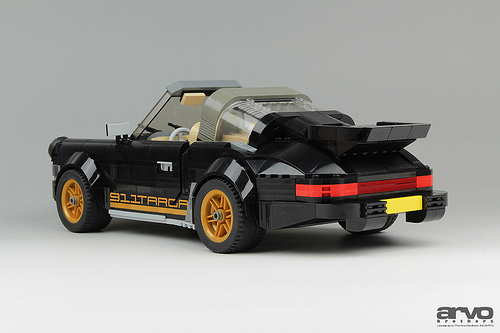 The Spanish duo have since revamped and recolored their design in the iconic black and gold color scheme prevalent in the 70’s, and it’s definitely worth another look. While identical in shape to the rear of the white version from this summer, we didn’t highlight the Targa’s cute little rear end with its dual exhaust, so here it is. Don’t stare. When I was a wee lad my mates were all about the Ferraris and Lamborghinis. Not me though, nor Serge S either. Don’t get me wrong — they are both highly skilled manufacturers of beautiful cars — but for me, nothing even comes close to the classic Porsche 911. 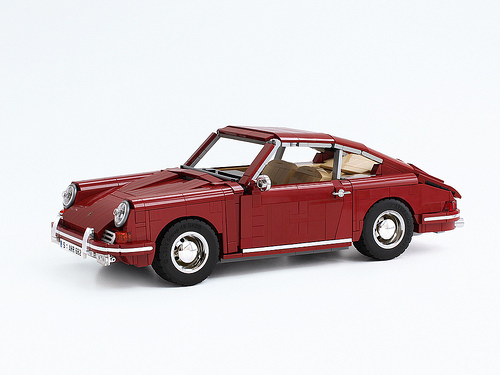 With his faithful recreation of every curve and nuance of this early 911’s superb lines, Serge has lovingly furnished this crimson coloured Carrera with working doors, bonnet and trunk. 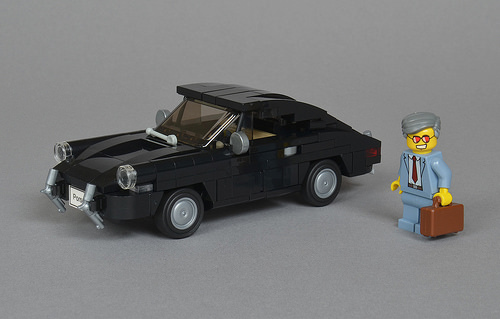 If you don’t have a couple hundred thousand dollars to spend on your own 1963 Porsche 911, you can always build one in LEGO. Michael Jasper has built a lovely 911 in black, reflecting all the iconic bulges and curves of the original. Much of the car’s sides are built studs forward, while the curves on the fully detailed underside are built studs down. How do we know so much about the car’s interior structure? Because Michael has posted this (literal) cut-away view highlighting the complex techniques he used to achieve the vintage vehicle’s shaping. 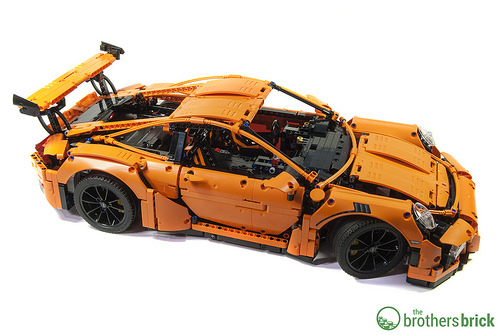 Malte Dorowski, who is a huge fan of Porsche sports cars, rolls out a magnificent copy of Porsche 911 GT3 RS. 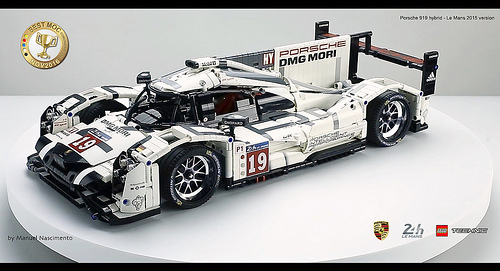 Despite being built out of System bricks, it looks much more complicated than its bigger brother from the Technic Technic Porsche 911 set. From the very first sight you know that this little beauty is much more complicated on the inside than on the outside. 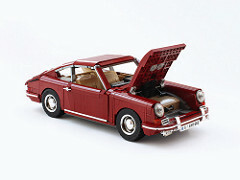 Malte builds his cars with astonishing level of detail, including elaborate inner workings in his models. It’s not only about the interior, but about all the nodes and joints. 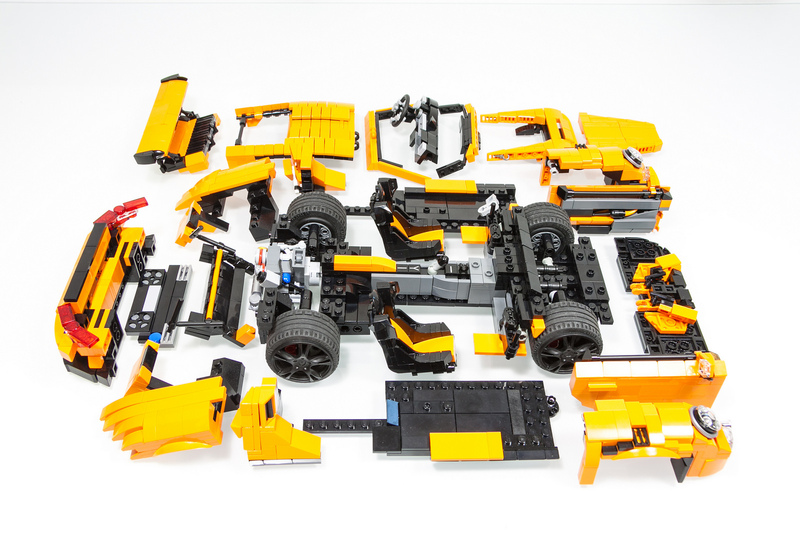 I had no idea how all these parts could be assembled into one car, but the longer you observe the dismantled vehicle, the better you see some truly mind-blowing solutions Malte used to keep the tiniest of slopes and tiles together. 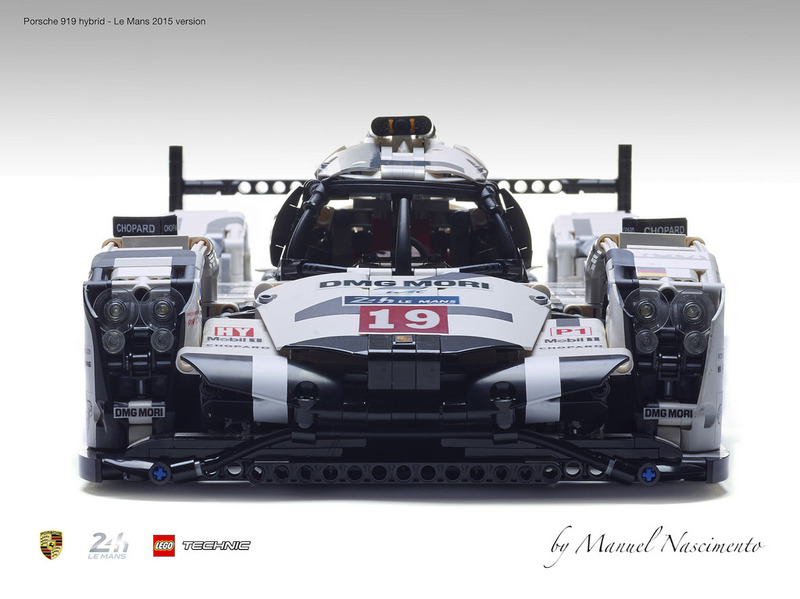 Manuel Nascimento built this incredible LEGO Technic Porsche 919 after watching the real-life car win the 24 Hours of Le Mans in 2015. Not content to simply recreate the stunning shape out of LEGO, Manuel also decorated his car like the real one, saying, “I had too much fun decorating the car but at the same time I also had a lot of work because all stickers were hand made.” Check out more of this beautiful racecar below, including the working functions. 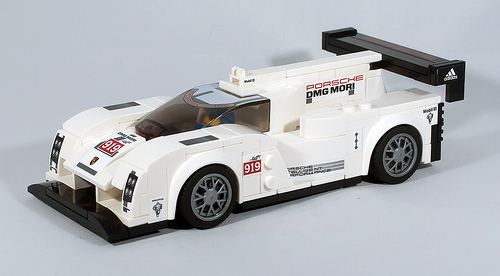 The official LEGO Porsche 919 Hybrid doesn’t quite have the same lean, low profile of the real thing, so EliteGuard01 has built a much more accurate version. To do so, the builder has taken some of the stickers from the set and applied them to a model that’s two studs wider. 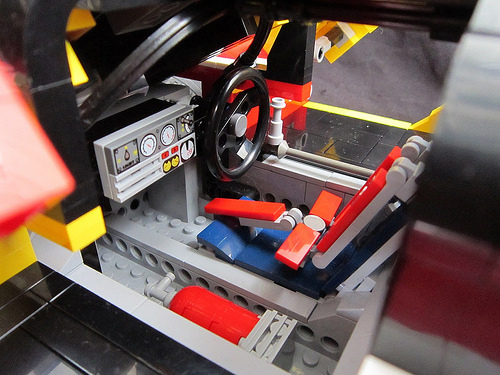 The race car fits a minifig, and the builder says it even has an engine. 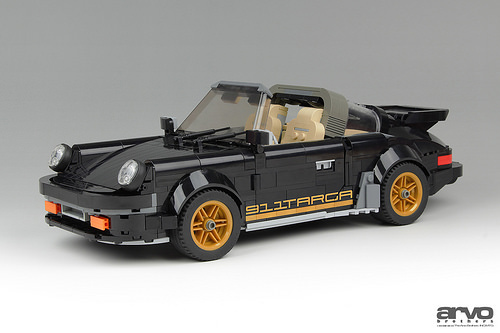 The LEGO REBRICK website has just announced the grand prize winner and runners-up in their Build the Porsche of your Dreams competition that ended on 07 Sept. 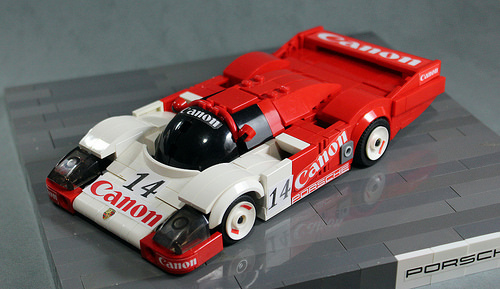 The Grand Prize winner was Tamás Juhász with his Porsche 962 C.
Tamás’ model was very detailed, including the engine, exhausts, turbos, racing seat, seat belt, radiators, detailed cockpit, mirrors all made using LEGO. …Unless a vintage tractor is a supercar for you. 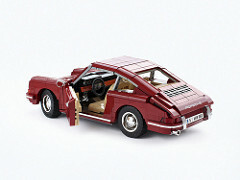 DB_Kit Fisto entered the latest Build the Porsche of your Dreams contest not at full speed, but definitely with class. 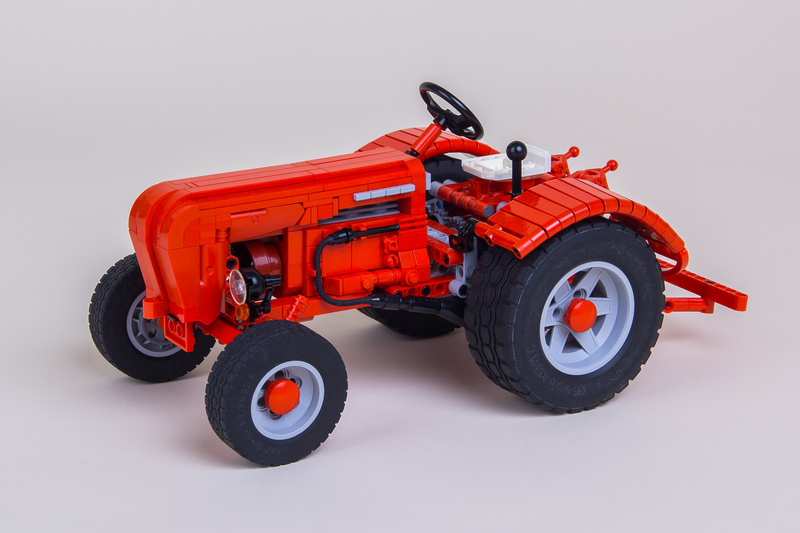 His massive tractor is a scaled replica of the Porsche Super from 1960s. That was the time of truly beautiful agricultural machinery, much more elegant than the modern! 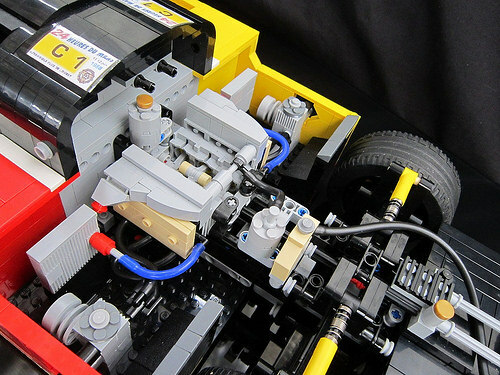 The design of this vehicle is simply fantastic thanks to amazing combinations and connections of System and Technic pieces. 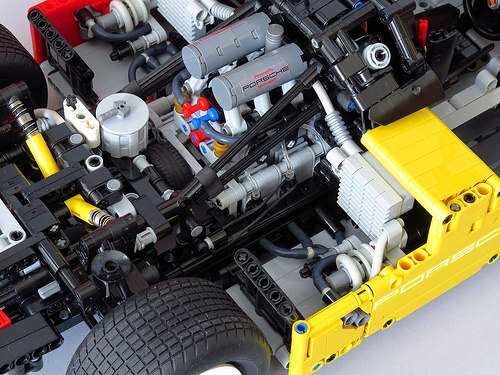 My favorite part is that small technic corner panel above the front axle placed right among regular plates and slopes. This is how you build a Super tractor! 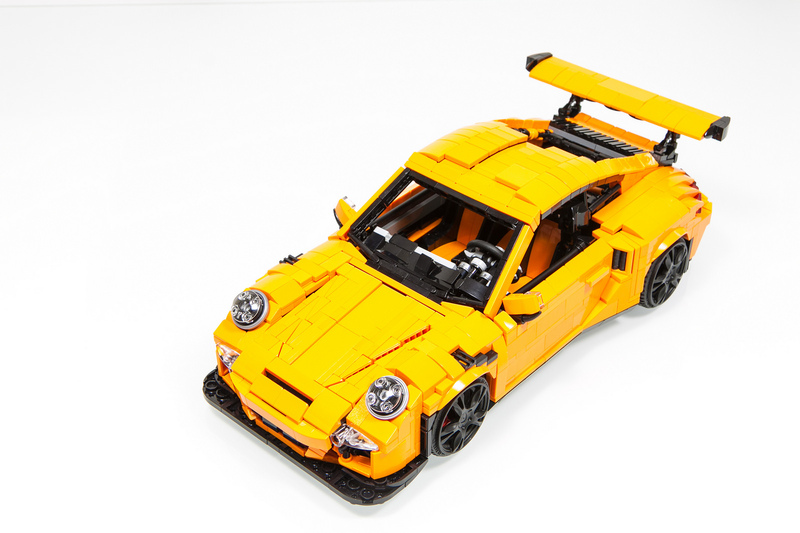 LEGO and Porsche have announced the brand new LEGO Technic Porsche 911 GT3 RS, the new flagship model for the Technic line. It will have 2,704 pieces, and will be available starting June 1 via LEGO.com and select LEGO stores in Germany and Austria. It will see wider release in retail stores beginning in August. It will retail for $299 USD. Read our review of the Porsche 911 GT3 RS here. 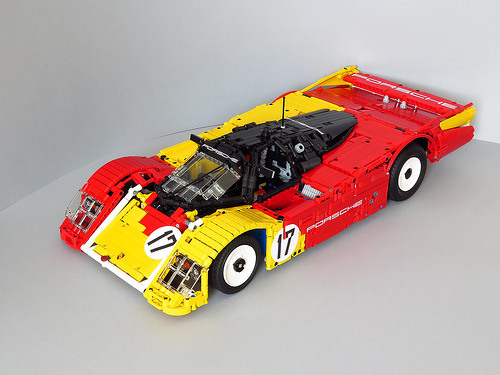 Large-scale LEGO car builders never cease to amaze with their dedication to realism. 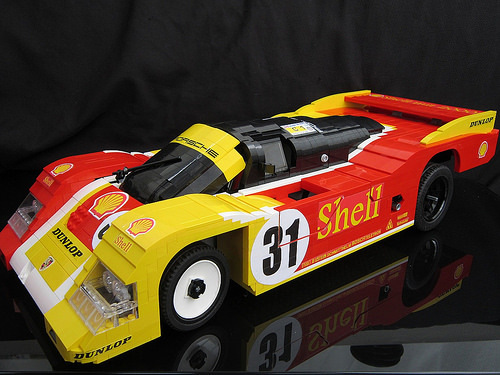 Greg_998 specializes in Porsche racecars, and his Le Mans Porsche 962 is breathtaking. Not simply a plastic shell, the well-sculpted bodywork hides a host of details below, such as a fully detailed engine compartment and a fittingly spartan interior. 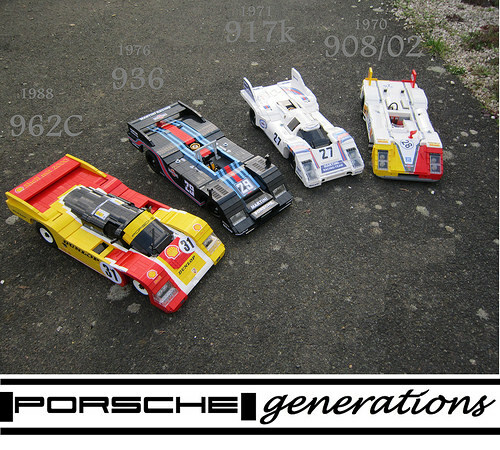 Not content with just the 1980s’ 962, Greg has built a several generations of Porsche racing.